Scottsdale Culinary Institute maintains two campuses in the area. Camelback campus, housed in a former country club, is the main campus that overlooks beautiful Camelback Mountain. The campus houses administrative offices, the cooking library/resource center, classrooms, and kitchens. The Sky Bridge campus, found in popular Old Town Scottsdale, has its own set of classrooms and kitchens. Scottsdale Culinary Institute hosts two popular student-run restaurants, L’Academie and award winning L’Ecole. The quality and value found at these open-to-the-public learning centers, means that reservations must be made at least a month in advance. Read this as a clear endorsement of the quality cuisine these student chefs produce. What makes Scottsdale a Good Culinary School? The school is a Le Cordon Bleu North American affiliate, which carries some heavy culinary credibility. To many chefs, past and present, there really is no other training program that is on par with this great French-born educator. The name “Le Cordon Bleu” has a long and distinguished history that points to the prominence of the modern culinary institution. The term was first used in 1578 where it quickly became synonymous with nobility and sumptuous cuisine. Members of L’Ordre des Chavaliers du Saint Esprit (The Order of the Holy Spirit), held the nickname, “Le Cordon Bleus”. The delectable banquets hosted by and for this order were the first association of the term with the fine cuisine that France is noted for today. A legend of its time, the term is now fittingly used to depict today’s premier culinary institution. The Le Cordon Bleu Culinary Institute was first established in Paris, France in 1895. Early on, a series of popular culinary writings, “La Cuisiniere Cordon Bleu”, written by journalist Marthe Distel established the guidelines still used by today’s Le Cordon Bleu. The original Le Cordon Bleu quickly gained prestige when the first cooking class was held on January 14, 1896 in La Palais Royale (the Royal Palace). The standards that guided Le Cordon Bleu so long ago, still drive the Paris Institute and its North American affiliates - one of which is found in Scottsdale, AZ. As a result, graduates from Scottsdale Culinary Institute receive the highly coveted Le Cordon Bleu diploma, establishing them internationally as esteemed Le Cordon Bleu chefs. Hands-on training has been fine-tuned over the years, by a staff of top quality chefs who act as instructors and advisors to the institute. Innovative techniques are taught by incorporating new-school methods with classical French practices. Scottsdale’s programs prepare graduates for notable careers in the culinary field, by laying a foundation that prompts students to innovate and invent their own unique culinary points of view. Scottsdale Culinary Institute is accredited by the Accrediting Commission of Career Schools and Colleges (ACCSC), Accrediting Council for Independent Colleges and Schools (ACICS), and by the Higher Learning Commissions North Central Association. The American Culinary Federation Accrediting Commission has also given program-specific accreditation to both the Le Cordon Bleu Culinary Arts program and the Le Cordon Bleu Patisserie and Baking program. What can I expect From Le Cordon Bleu College of Culinary Arts Scottsdale? With traditional day classes and an assortment of weekend offerings, Scottsdale allows working cooks to up their educational antes in their own time. A small student population, averaging around 1200, leaves your instructor’s attention focused on individual, personalized training. Smaller, more intimate, hands-on learning environments are most conducive to conveying the nuances of food prep that make Le Cordon Bleu graduates stand out on-the-job. 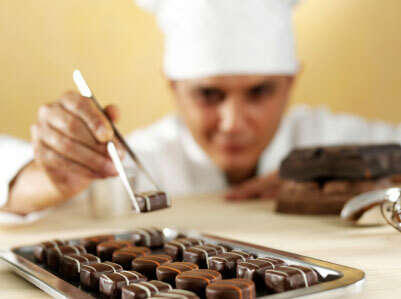 Completion of a Culinary Arts, Patisserie and Baking, or Restaurant Management program carries a universally recognized place of high esteem with employers, especially when the degree comes from Le Cordon Bleu. This intensively focused specialty is perfectly suited for anyone wishing to expand his or her understanding of pastry and baking. Bread dough, chocolates, petit fors, candy and quickbreads are deconstructed with an eye toward graduating professionals who are ready to step into roles as bakers, entrepreneurs, chocolatiers and sweet-side kitchen managers. 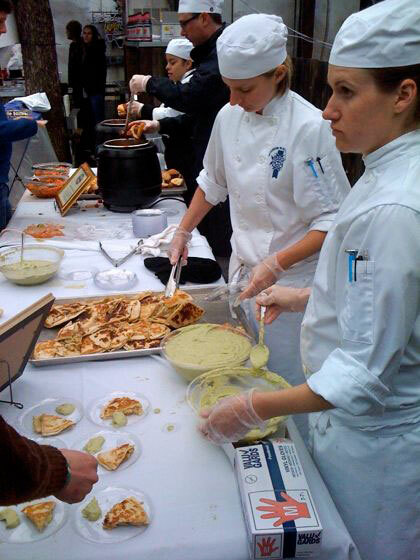 The management program prepares students to serve in hospitality industry roles that might not be in the kitchen. Proficiency in all areas of management leads to jobs at resorts and spas, restaurants, bed and breakfasts, travel agencies, car rental firms, campgrounds, cruise lines, forest preserves and recreational facilities, hotels and motels, state and national parks, retirement homes, railroads, amusement parks, airlines, country clubs, convention centers, casinos, exposition centers, and schools. For those whose circumstances don’t allow for classroom instruction, Cordon Bleu offers two degrees that can be earned online. The aforementioned Hospitality and Restaurant Management Degree curriculum is delivered 100% online. Economics often dictate your educational path, so having access to web-based instruction allows you to integrate your schooling into your schedule – no matter what hours you work at your job. Advanced studies can also be pursued online as a continuation of your campus education. Once you’ve completed your classroom studies in any of the cooking and hospitality programs, you can continue your studies online to receive the Bachelor of Arts in Le Cordon Bleu Culinary Management.